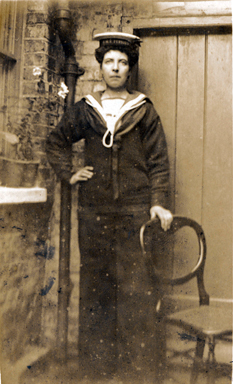 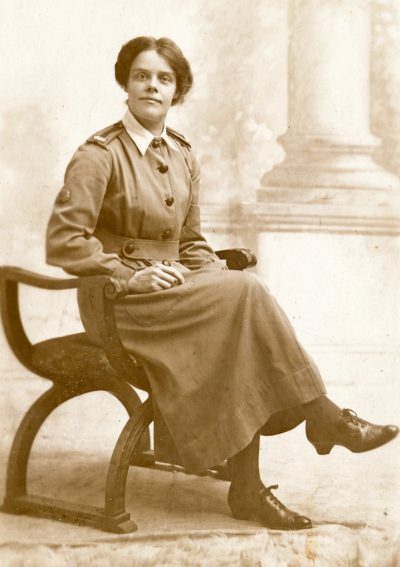 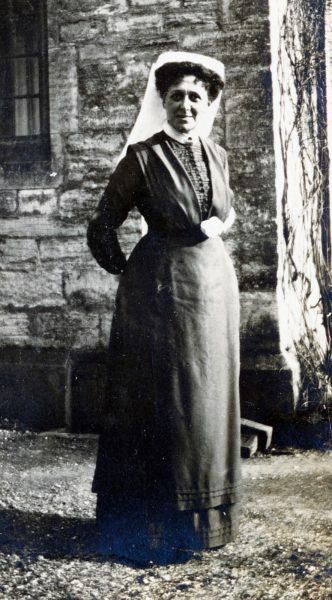 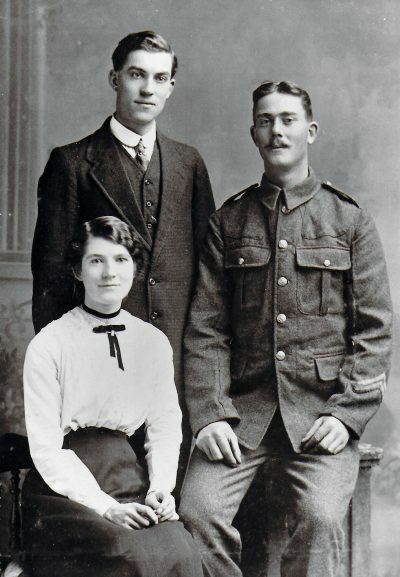 F444 Frank South, 2nd Batallion, Hampshire Regiment, died 7th August 1915, aged 24, and brother Charles, and sister Elsie. 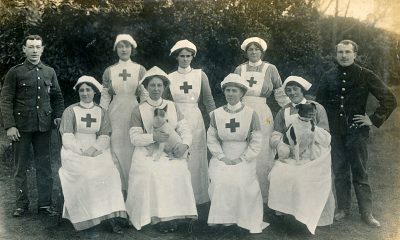 Courtesy of Gillian Marriott. 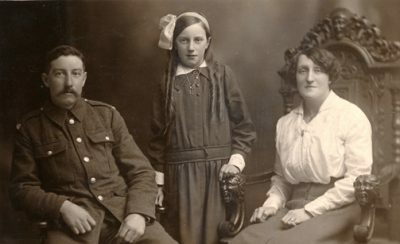 F441 Unnamed soldier and bride, H.M. Veale & Son, Bristol. 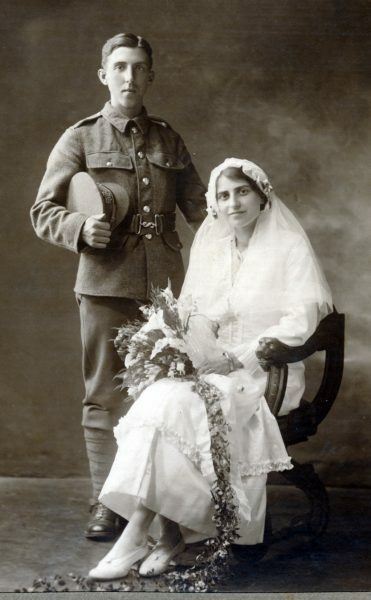 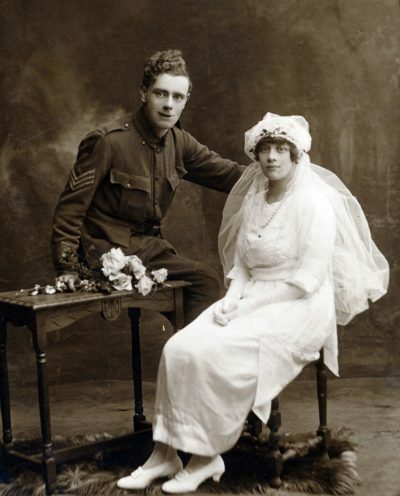 F440 Unnamed sergeant and bride, Ward’s Studio, Hounslow. 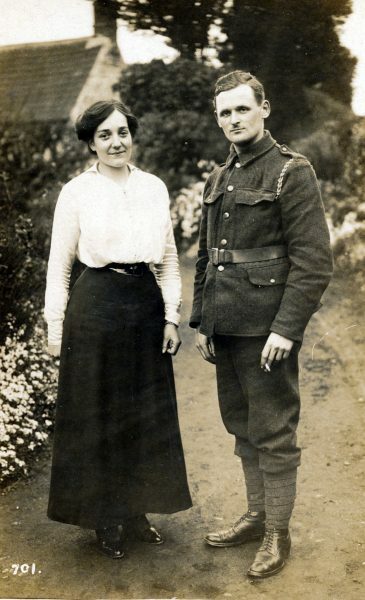 F438 Unnamed soldier and lady, J.M. 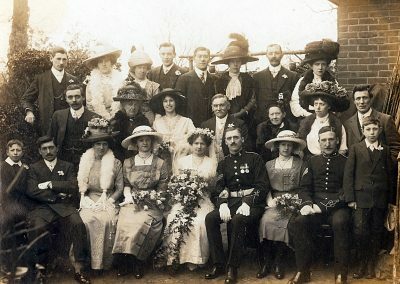 Jones Studio, Coleford, Bath. 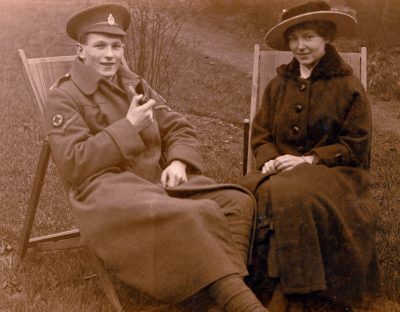 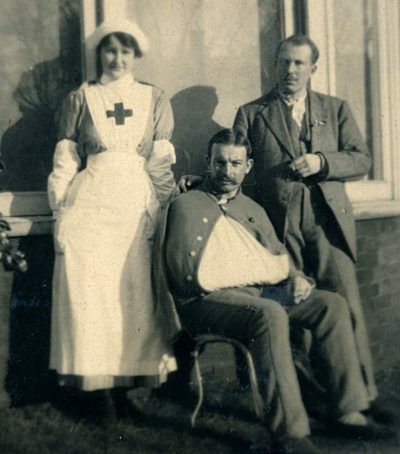 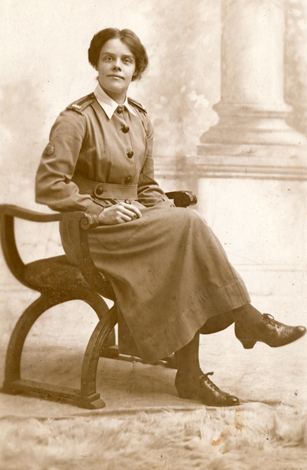 F427 Unnamed soldier, Royal Army Medical Corps, and lady. 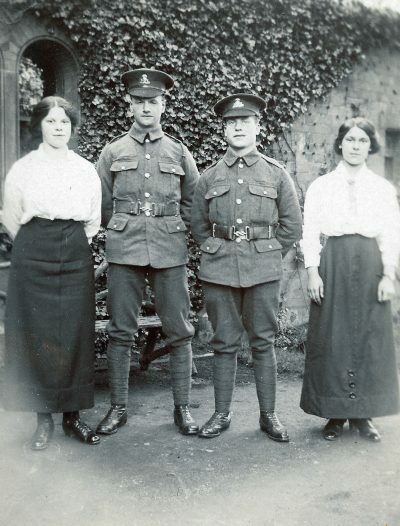 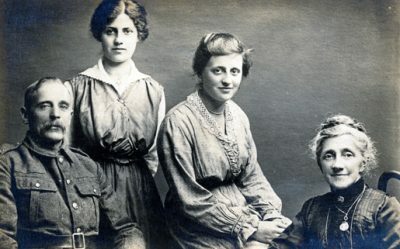 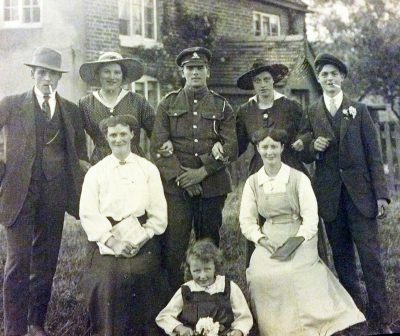 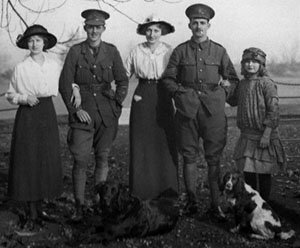 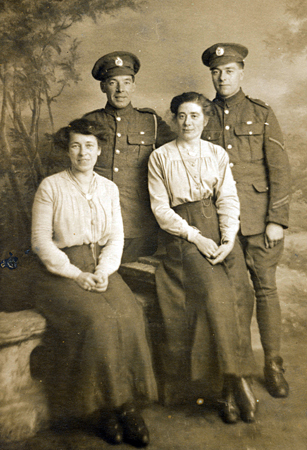 F431 Emily Sawyer (left) with two soldiers of the Lancashire Fusiliers, and unnamed lady, Aughton, Lancashire. 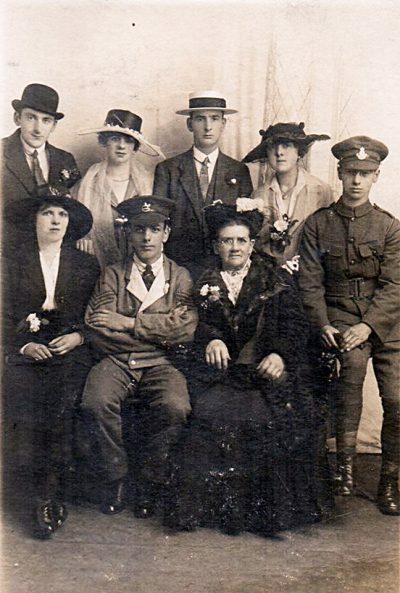 Courtesy of Kathryn Baird. 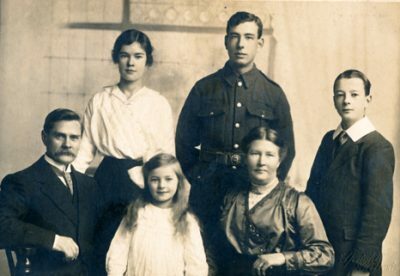 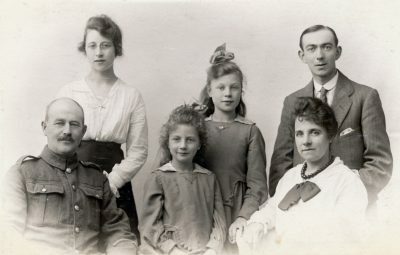 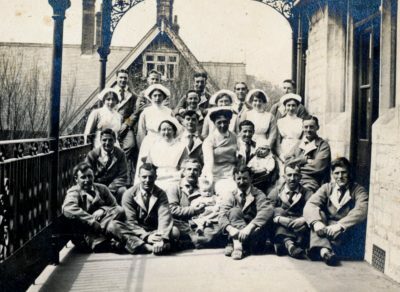 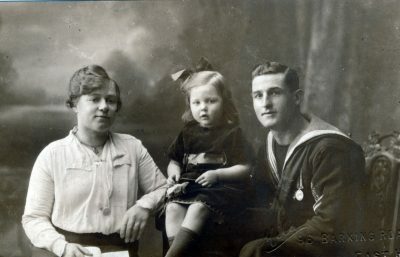 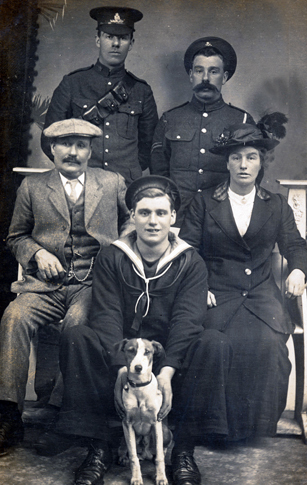 F429 Sergeant John Henry Edwards, King’s (The Liverpool Regiment), seated, and family. 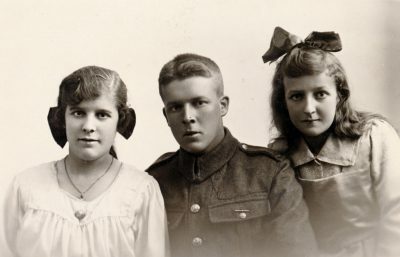 Courtesy of Brian Edwards. 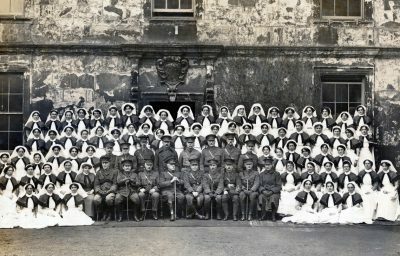 F430 Royal Engineers and ladies. 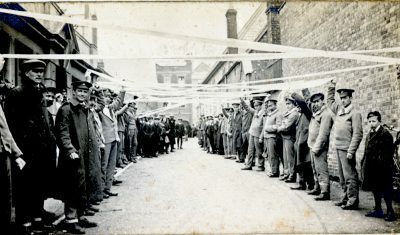 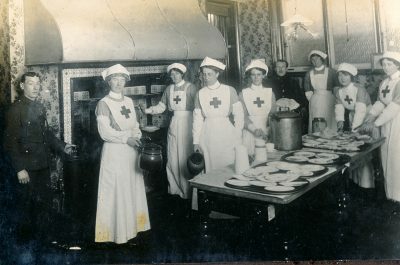 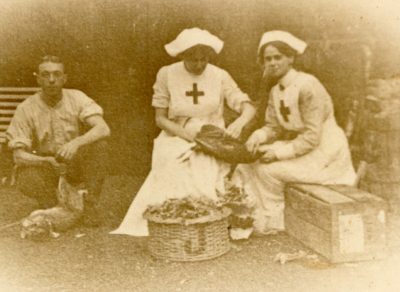 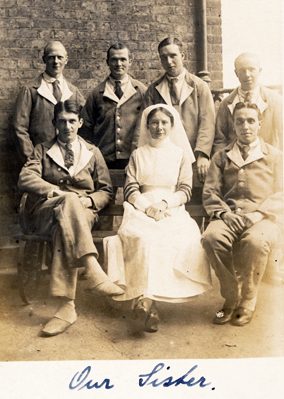 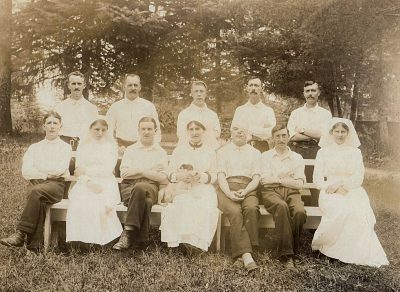 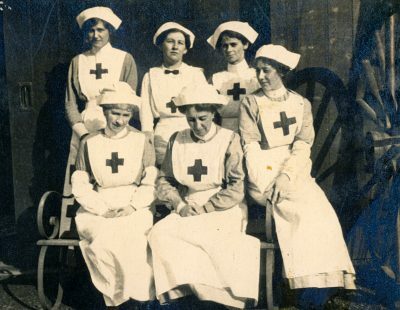 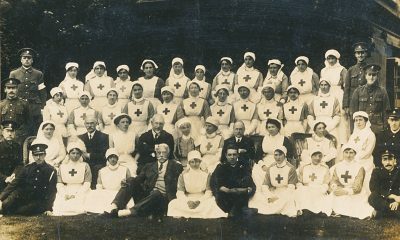 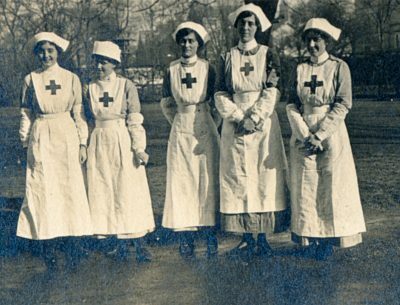 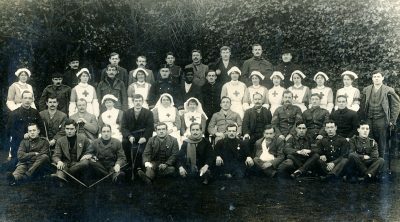 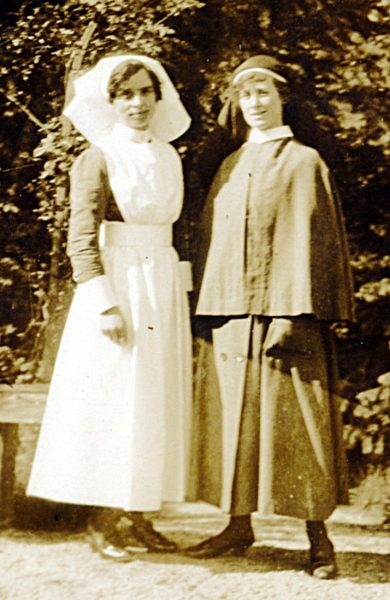 W296 Nurses and soldier, 3rd Red Cross Hospital, Abbeville. 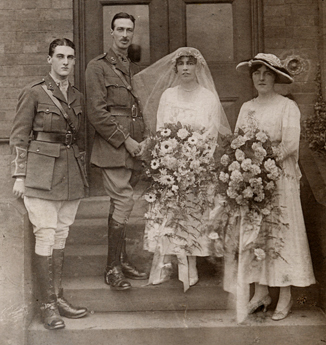 F433 Royal Artillery Wedding, Arthur Winter studio, Preston. 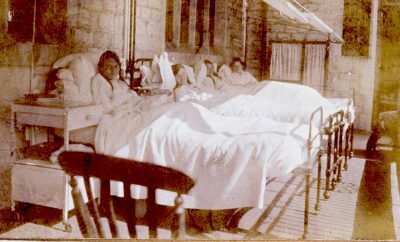 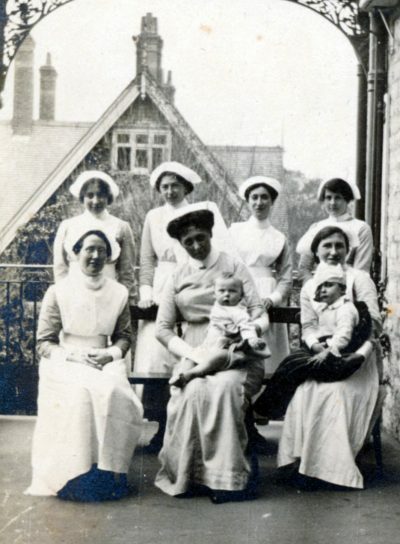 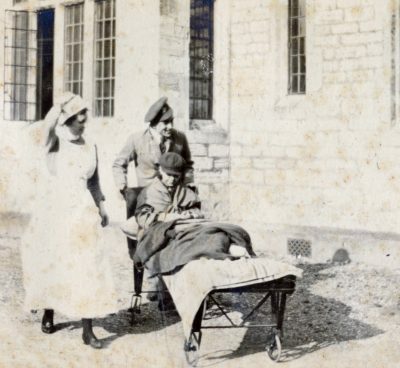 W286 Female patients, Dorset County Hospital.